Let me introduce myself. I am Marina Ogrin, a secondary school of tourism graduate and economist by education. Since my student days I have been working in tourism with enthusiasm. I was working in tourist agencies, restaurants, hotel reception and hotel reservation and sales office, and now I am proud to present our beautiful local environment to you as a tourist guide. 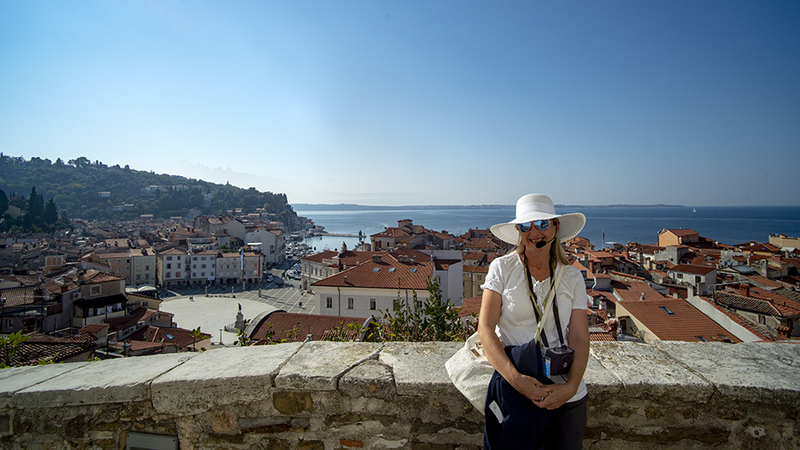 The attractive Slovenian coast is an ideal starting point for a short or longer excursion in our surroundings, and I accompany larger bus groups of guests as well as smaller groups or families on a private trip or hikers and cyclists. We will visit our natural and cultural sights, get to know our history, culture and tradition, our people and their stories and our culinary and drinks. I wish, you would fall in love with my country too, that’s why I will make sure, that with all your senses you will get an unforgettable experience.